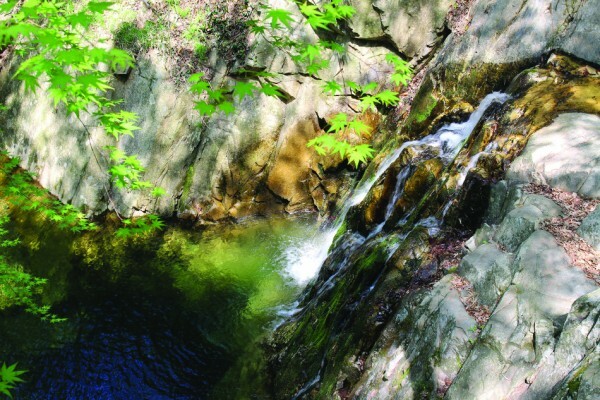 Wolchulsan Mountain is said to be a little Geumgangsan, a famous mountain known for its beauty in North Korea. It is located in Honam, or the southern region of Korea. At the foot of the mountain, there is Dogapsa Temple, looking like a tiger holding out its front paws and roaring. Once you leave your earthly afflictions behind, pass by Haetalmun, or Liberation Gate (National Treasure No. 50), and the clean and gentle energy of Dogapsa Temple will come into your view. 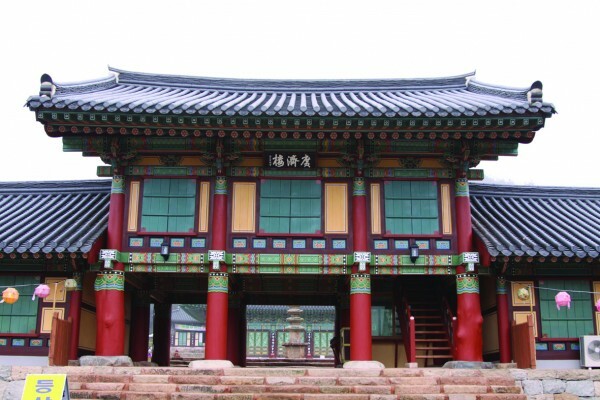 The temple was founded by the fourth National Preceptor Doseon during the Silla Dynasty (in the 6th year of King Heongang). 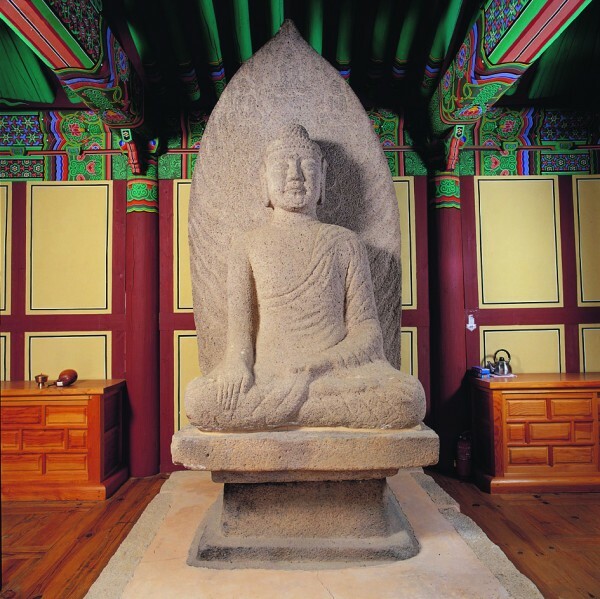 Afterwards, Venerable Sumiwangsa, the King’s advisor of the Joseon Dynasty (in the 2nd year of King Seojo), transformed the temple on a grand scale. He changed its over all look by adding 966 rooms in 12 neighboring hermitages of various Buddha halls. 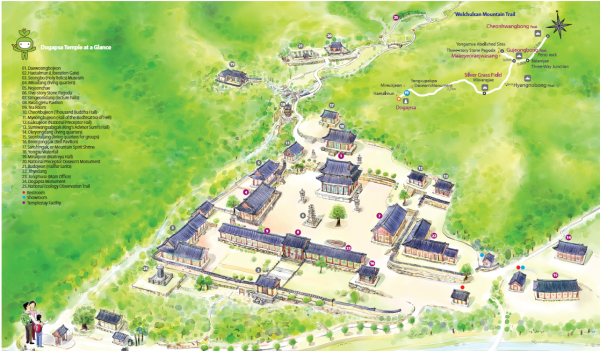 Though many of those buildings were destroyed during the Imjin War, the second Japanese Invasion of Korea, and the Korean War, they are trying to reclaim their lost reputation by restoring many of these buildings, one by one. 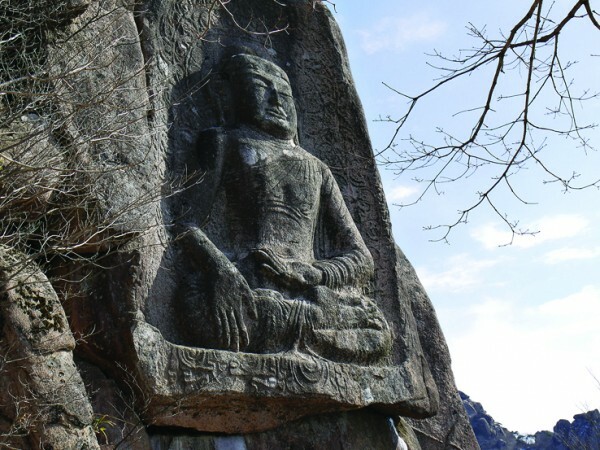 • This majestic seated stone Buddha statue, 8.6 m tall, is located at the highest point in Korea. • You can easily miss the statue because it is located at the edge of a cliff 500m down Gujungbong Peak, away from the main hiking trail. • Because it is not easy to find, consider it a challenge, or treasure hunt, which will give you a great experience. Just take your time, breathing slowly. • Its distinctive eyes, broad nose, and thick lips show sturdiness. • Plant a seed of health and happiness by performing 108 prostrations or bows. • When you place yourself in Gwangjeru, not only does picture of the whole temple complex, but also Wolchulsan Mountain, come into your view. 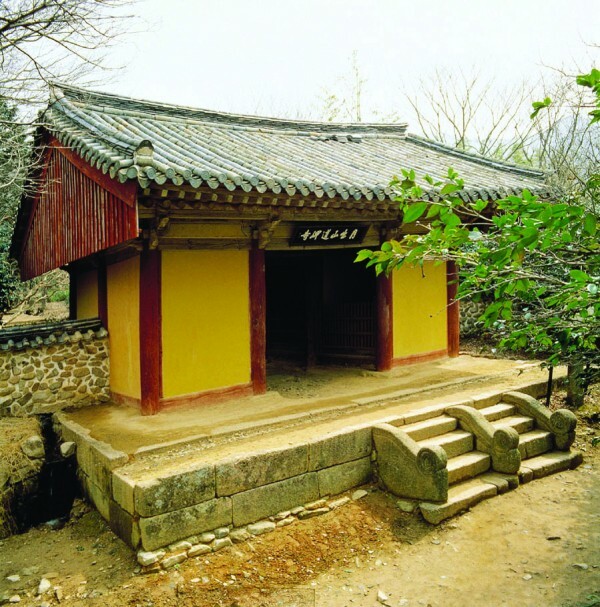 It is said that a famous poet, writer, and scholar in the early Joseon Dynasty, Si-seup Kim, (pen name Maewoldang) sang, “There is a mountain in the midst of a picture in a southern village. The moon does not rise in a clear sky but over the mountains. ” Why not come up with your own poem when the moon rises, and stars fill the night sky at Gwangheru? Wouldn’t it be poetic? • Why not take a break from the glamorous, fastpaced life of a city, and seek out beauty in neatness and simplicity? Wouldn’t it be charming for a change? Haetalmun’s simple beauty might be the main reason why it is a national treasure.